That way, if you see or are sent anything that makes you feel uncomfortable or upset while you're online, you can tell them. Follow the links for more tips on how to stay safe online. 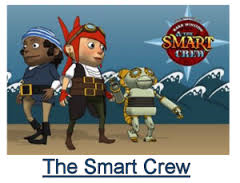 An e-safety story for 3 to 7 year olds. Join in with Daddy Penguin’s song and follow the adventures of Smartie and Daddy Penguin as Smartie learns how to be safe on the internet.